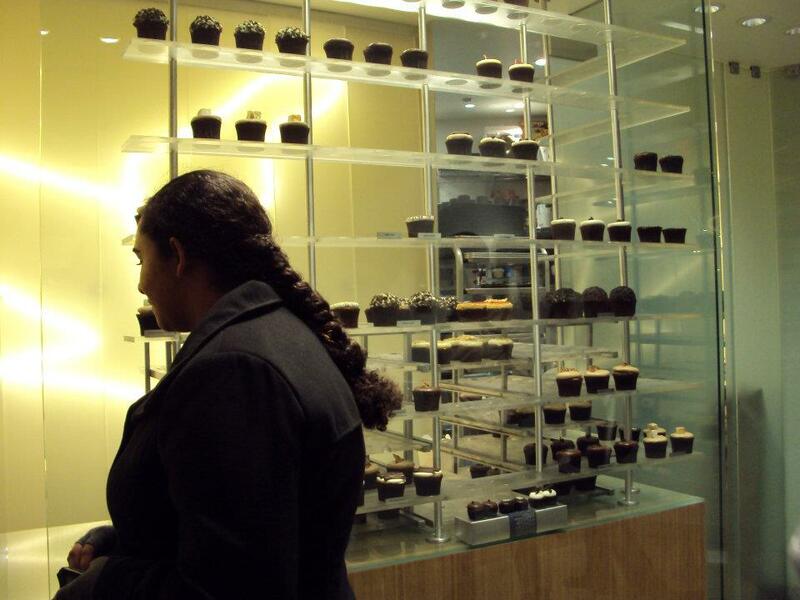 More is a independent ‘modern art meets cupcake’ shop located at 1 East Delaware Place in Chicago. It has been open in the Gold Coast since 2008. With an artist spin to the culinary the cupcakes have a look of art, and a lot of work is put into making sure there is balance in flavor and sophistication to each of the original cupcakes. The shop itself is minimalist. With the options hanging up along the wall and with no seating. It is a place to order cupcakes to go. More also has a cupcake truck that drives around the city and you can look and see what they have and buy from the truck. The easiest way to figure out where the ‘More mobile’ is is to follow the more mobile’s twitter page. I see the truck often downtown in the South Loop but I know it goes other places. For me the cupcakes are delicious but also rich and I can usually only eat one due to the richness. They also sell mini cupcakes which I have not had.